To start this year off, here’s a quick post about my recent trip to Germany with my fiancé, Marius. The trip itself could be a series of blog posts since we were there for almost a month. (It was amazing btw!) But I will get straight to the ramen part. Whenever I go someplace new, it is always my mission to find a ramen restaurant. 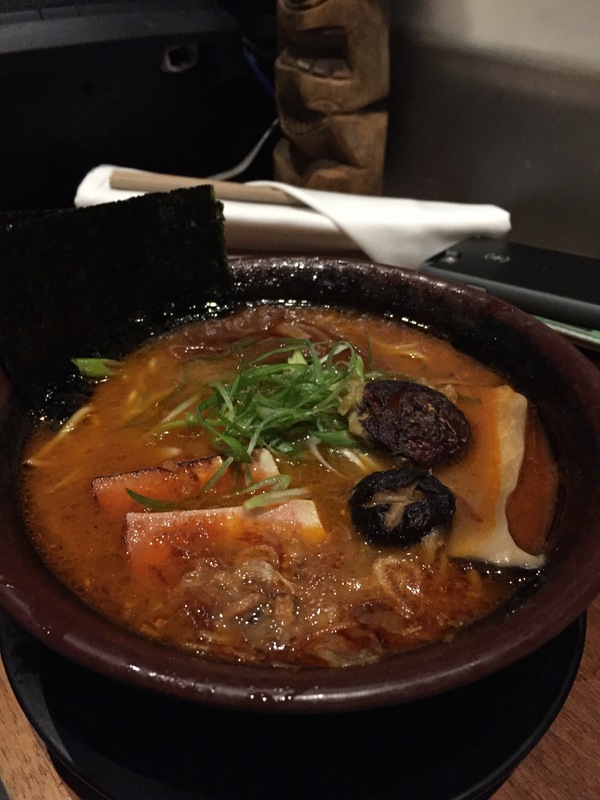 Not just a Japanese restaurant that happens to have ramen on their menu. But an actual ramen restaurant. 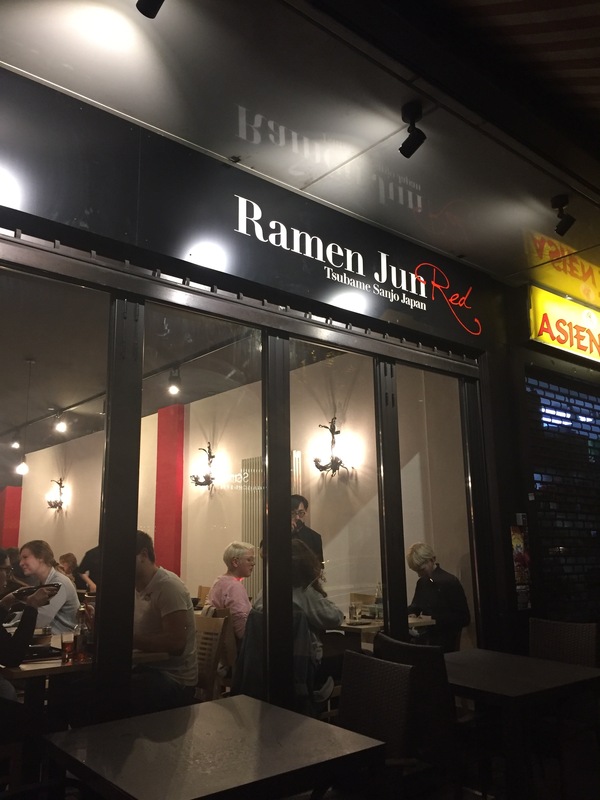 Low and behold… Frankfurt, Germany has two ramen restaurants. Probably the only two in the whole country! 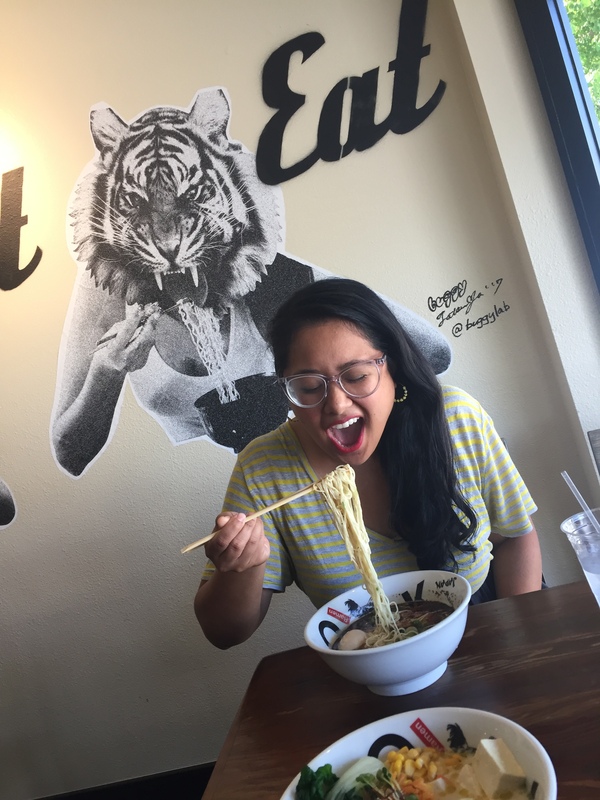 I decided to try something new with this blog and actually put together a ramen recipe for you all to try! 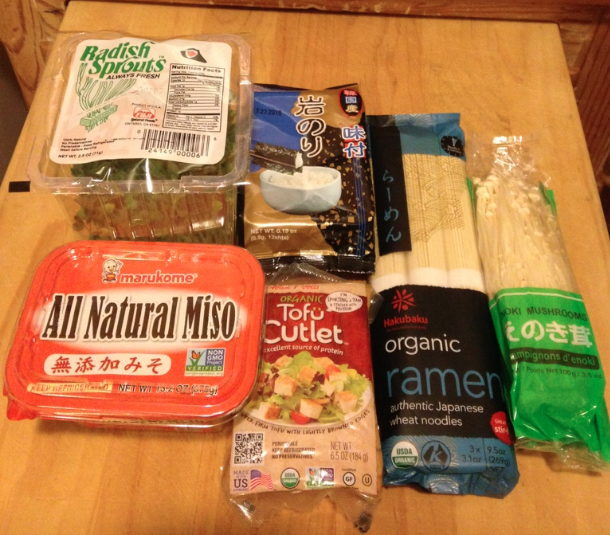 Here is a vegetarian ramen recipe for those vegetarian or health conscious. There will definitely be more recipes in the future! 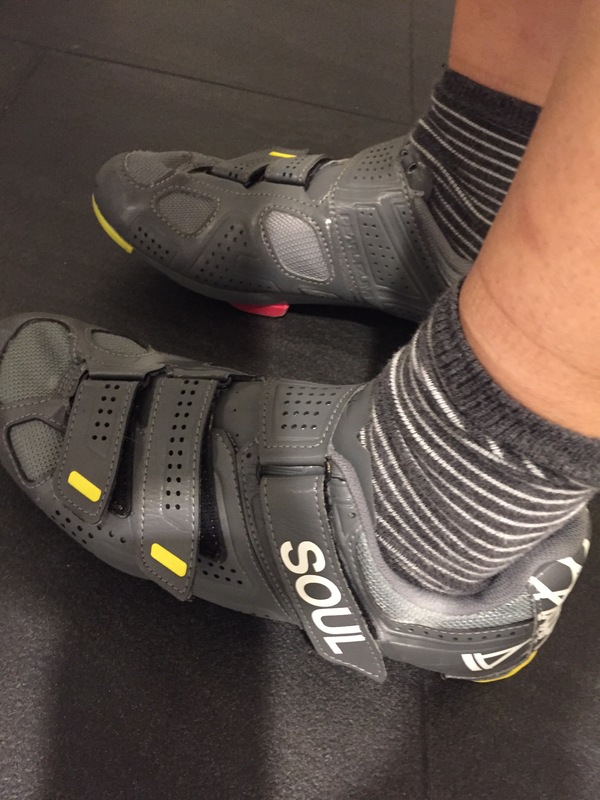 I know it has been a while, but I’m back in the blogging world. So much has changed for me since my last blog post, hence why I have not written. To make it short, I moved out of Santa Monica (not too far, still on the Westside,) became a vegetarian, and have not been eating a lot of ramen. My dietary decisions was based solely on having a healthier lifestyle but it did not necessarily mean that ramen would be completely out of the picture! Very few places I have been to have great vegetarian ramen, and I have yet to find a vegan one! However, I found a vegan spot two weeks ago during a road trip with my boyfriend to San Francisco. After an entire day of San Francisco-ing, (Andytown Coffee, Haight Ashbury, Painted Ladies, Mrs. Doubtfire House, Palace of the Arts, Golden Gate Bridge, Lombard Street) we stumbled upon Shizen Vegan Sushi Bar & Izakaya in the Mission District. Although we originally planned on trying the sushi, I could not resist when I saw ramen on the menu. I played a gig out in San Luis Obispo a few months ago and found the best ramen burger I have had yet! I know I’m super late on this post, but that burger is so worth writing about. 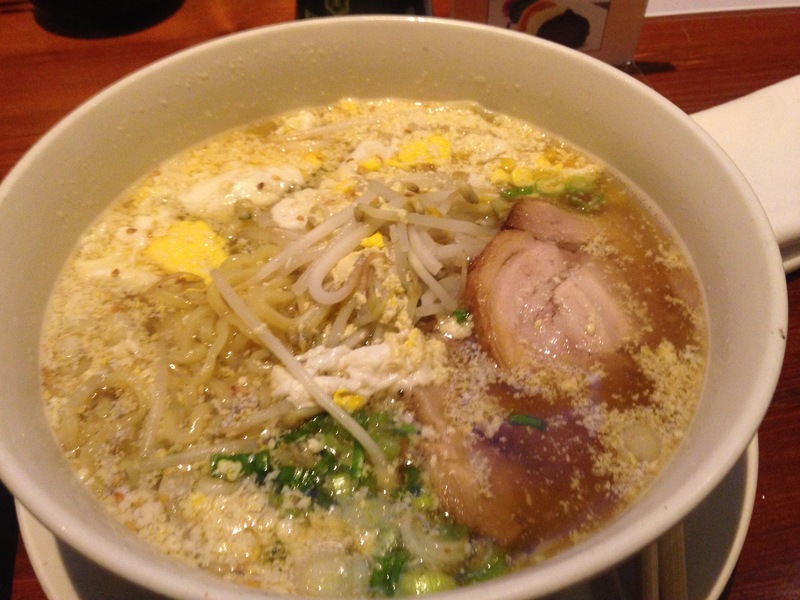 Not too long ago, I went out for ramen with my buddy Marko, (aka Sarko Manchez). 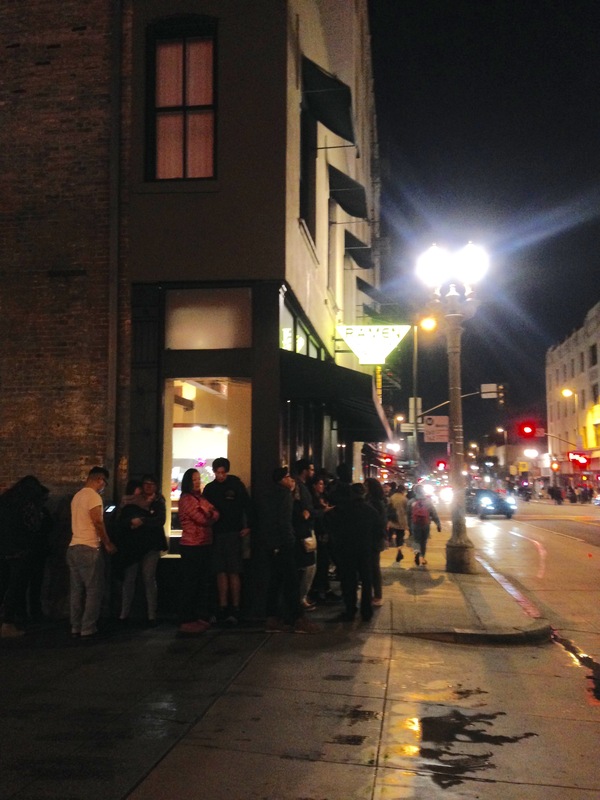 We met up at Silverlake Ramen, but it was a Friday and the wait was going to be over an hour. We were starving and did not have the patience so we looked up another ramen spot and found one about 2 miles away in Koreatown. 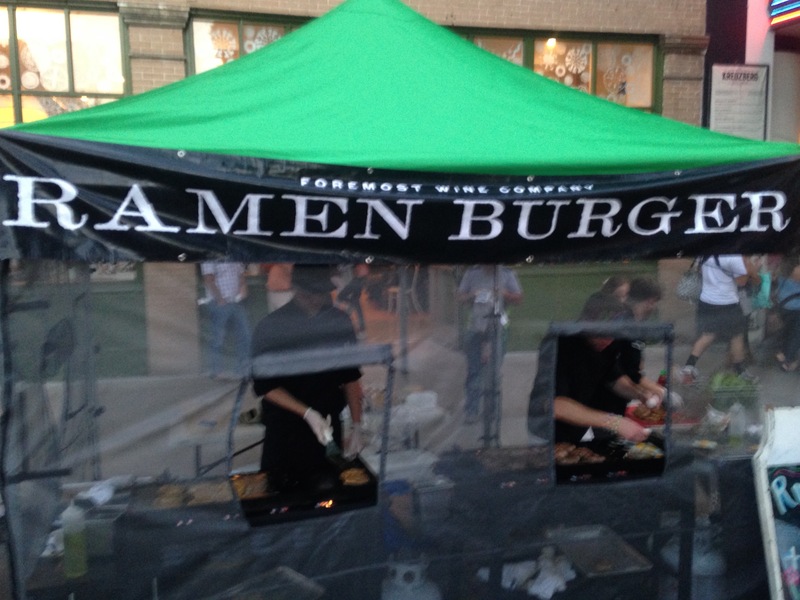 And just my luck… it turned out to be the Original Ramen Burger!! !